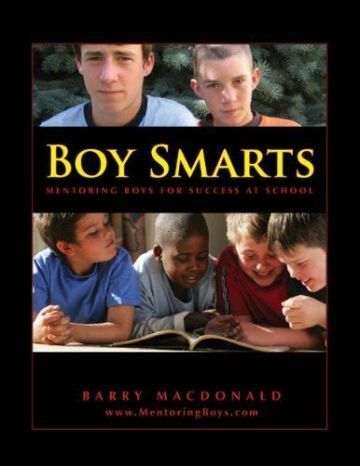 Educators and parents hoping to inspire boys to excel at school now have a new tool at their disposal; Boy Smarts - Mentoring Boys for Success at School. In this book, you will find 100 imaginative and practical guidelines for authentic engagement in meeting boys' varied learning needs. The guidance offered here can help parents and teachers in the challenging task of understanding each boy as an individual while also working toward a community plan to raise boys' school achievement. The common sense approach offers to lay the groundwork for an action plan to mentor boys for school success - a manual for kick-starting boys integrity. Boy Smarts is not a cookbook or managerial guide that reduces complex human interaction to a simple formula. It offers real-life guidance based on a growing body of research from leading authorities, that parents and teachers can actually use. Barry MacDonald envisions an inclusive classroom where boys feel at home; where their rambunctious energy is accepted; where their rebelliousness is channeled into inquiry and exploration. Without compromising gains made by girls, a Boys Smarts approach to schooling responds empathically to the needs of boys so that they can better realize their learning potential.